Oil painting on canvas. 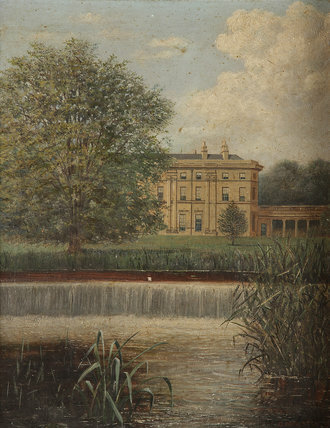 A View of Attingham Hall from the East by G. Hurlston (fl.1899), signed and dated 1899. The river and weir with reeds in foreground, the hall visible in distance behind large tree in middle ground to the left.